wbAMP is compatible with SP Page Builder extension? I want to have AMP pages on my site, but the pages are made in SP PAGE BUILDER, is the wbAMP extension compatible? Another question, is it possible to have a joint subscription of wbAMP + sh404SEF for a lower value? 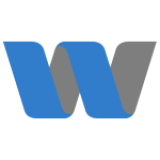 wbAMP itself is compatible with any Joomla extension (that follows Joomla API and use the normal contentPrepare events - that is 99% of them). It will always produce a valid AMP output by converting what can be converted and remove everything else. We do not offer any bundle, we just keep the pricing as low as possible for everyone, all year long!